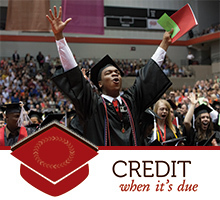 The Ohio Department of Higher Education launched the Ohio Transfer to Degree Guarantee program to help students streamline credit transfers among the state’s public colleges and universities. The program encompasses all Ohio public institutions of higher education, including two-year, four-year and career-technical, as well as military training and experience. Our easy-to-use transfer tool helps students find out if they can receive full credit for comparable and compatible coursework. General education requirements – academic skills comprised of 36-40 semester hours or 54-60 quarter hours of courses. Guaranteed transfer-to-degree pathways – allows you to transfer, in simple and direct ways, a core of credits that count toward your chosen major.